James Freeman is the Artistic Director and Conductor of the new Chamber Orchestra FIRST EDITIONS. He recently retired, after 27 years, as the Artistic Director and Conductor of Orchestra 2001, Philadelphia’s award-winning ensemble for 20th and 21st-century music, which he founded in 1988. He is also Daniel Underhill Emeritus Professor Music at Swarthmore College. He was trained at Harvard University, Tanglewood, and Vienna’s Akademie für Musik. He counts among his principal mentors pianist Artur Balsam and his father, double bassist Henry Freeman, former principal of the Boston Symphony Orchestra. In the spring of 2016 Mr. Freeman inaugurated a series of interactive concerts, Chamber Orchestra FIRST EDITIONS, dealing with new commissioned works by area composers combined with a musical exploration of how Mozart’s earliest works led gradually to the masterpieces of his later years. In 1990 James Freeman was given the Philadelphia Music Foundation’s first award for Achievement in Classical Music; and in 2008, in recognition of his contributions to the cultural life of Philadelphia, Mayor Nutter’s office honored him with the city’s Liberty Bell Award. In May 2015, the Philadelphia Musical Fund Society recognized him as its honoree of the year. Other honors include fellowships from NEA, NEH, the German Government, the Pennsylvania Council on the Arts, Harvard University’s Paine Travelling Fellowship, and two Fulbright Fellowships. He spent the spring of 1991 as a Fulbright Scholar, guest conductor, and lecturer on American music at the Moscow Conservatory. In 1993, 1994, 1997 and most recently in December 2014, he returned to Moscow with members of Orchestra 2001 to give concerts of contemporary American music. Through these concerts Mr. Freeman has established long-standing artistic relations with the musicians of the Moscow Conservatory and Moscow’s Bolshoi Theatre Orchestra, resulting in a continuing series of collaborative projects. As a double bassist, Mr. Freeman performed for 20 summers as a member of the Boston Pops Esplanade Orchestra and continues to play with the Opera Philadelphia Orchestra. 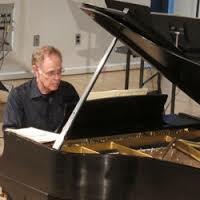 In the past few years, Mr. Freeman’s guest conducting assignments and performances as a pianist have taken him to the Salzburg Festival, Ljubljana (the National Symphony of Slovenia), Taipei (the National Symphony of Taiwan), Bari (Italy), the Colorado Music Festival, the University of British Columbia, the Syracuse Society for New Music, St. Petersburg, Moscow, Copenhagen, Havana, America’s southwest, and the Huddersfield International Contemporary Music Festival.